We will leave honest reviews about products in the industry. We will also recommend the perfect alternatives to expensive technology options. With a variety of monitors available to the masses, ABM have used a fair few during our years in business (and of course as individuals). 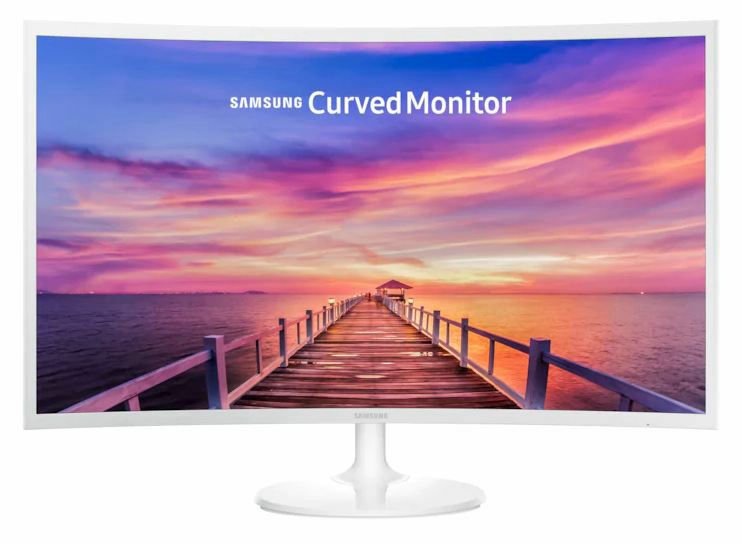 Watching how technology innovation has improved screen options, it is clear that curved screens are a popular choice for the business environment. But are they any good? EYE SAVER - The deeper screen curve allows your eyes to follow motion fluidly on the screen, and therefore reduces strain on your eyes. SUPERIOR IMAGE QUALITY - Allowing colours to be more vibrant and reduces light leakage to ensure black and white are more uniform. SLIM CURVE - Despite its curved appearance it doesn’t take up too much room on your desk. Its slim screen means you can push it to the far side of your desk and still have room for your other items. ECO SAVING FEATURE - Allows instant screen adjustment depending on the luminescence of colour. You can also reduce brightness yourself, and save energy this way. GAME MODE - Optimises screen colours to give better detail and contrast. DUAL SCREEN CAPABILITIES - Having two by side is a popular choice as you can skip between tasks. Check out our blog post on the benefits of dual screen capabilities! PORTS - HDMI, headphone and power port available. Immersive experience - when you are sat with the screen fully set up, and you adjust yourself perfectly in front of it, you can use your complete line of vision and peripheral vision to improve your work. Colours - Are vibrant and truly impressive. Occupation dependant benefits - Amazing for occupations requiring lots of screen usage for design and colour work. Minimised viewing - When out of full screen in a window, some people find the curve distracting as it bends the view. More so than in full screen. Resolution - Some people find the resolution low for a HD monitor. Cost - They are expensive at over £200. Port options - Less ports available than most people like to have, and people were suprised that there were no speakers within the monitor. You have to invest in speakers or just use the headphone port. Many people have a variety of views on these curved screens. Some love them, some hate them. The majority love them and therefore they are rated 4.6 stars out of 5, seemingly no matter the brand. Even for smaller 24-inch options. These screens certainly look impressive, especially two side by side. ABM do find that for certain industries, or occupations they could improve the quality of content production. For example, an advertising company or graphic designers would benefit from the bright colours and immersive functionality. However, accountants and technicians would probably find this monitor un necessary. At ABM we suggest that you evaluate your budget and requirements before rushing to make a decision. Just remember there are flat screen equivalents, that have the same spec and cost much less. Overall, we like the screens, and for marketing purposes they really work well. However, for all other occupations we wouldn’t choose the curved option. We rate these screens 4 stars. For the right purposes they are amazing. They have fantastic features as listed above. However, having better port options would be a bonus, and better appearance when you minimise your window is important. The price is a large cost to swallow, especially if you have more than one employee requiring dual monitor functionality. Aside from this, investing in your infrastructure is important. Being ahead of the curve (mind the pun) is necessary and design wise, this option could benefit your quality of content two-fold. If you would like to discuss your options, whether this be for a curved monitor or flat screen, ABM can advise and quote you with some options.